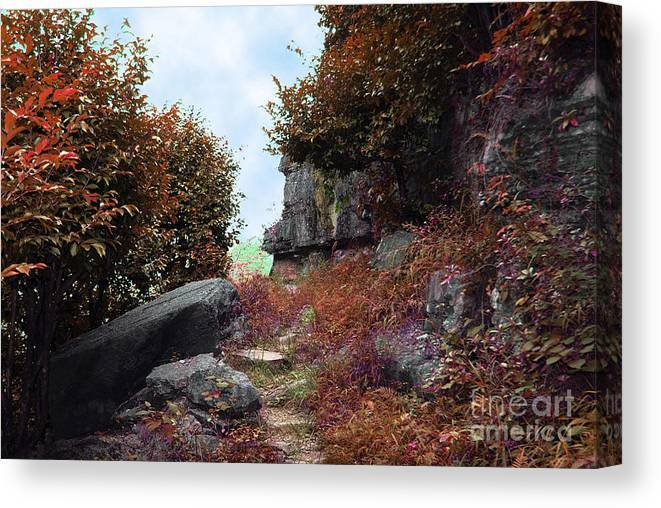 Ancient Pathway by Dot Xie - 10.000" x 6.750"
Ancient Pathway canvas print by Dot Xie. Bring your artwork to life with the texture and depth of a stretched canvas print. Your image gets printed onto one of our premium canvases and then stretched on a wooden frame of 1.5" x 1.5" stretcher bars (gallery wrap) or 5/8" x 5/8" stretcher bars (museum wrap). Your canvas print will be delivered to you "ready to hang" with pre-attached hanging wire, mounting hooks, and nails. 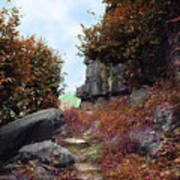 There are no comments for Ancient Pathway. Click here to post the first comment. 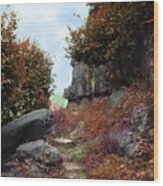 These paths have been in use for centuries by many a traveler and now local farmers still in use by foot to get from one village to another. Many a cave dotted along the way with deep secrets hidden below.